This letter was received by the Quatuor Coronati Lodge No. 2076 in 1999 and the information may not be current. Facsimile of a letter received from Bro. Peter Waters showing the current state of the Grand Lodge of Russia. Address: The Grand Secretary, P.O. Box 18, 109377 Moscow. Lodges: 12. Membership: 200. Ritual: Scottish Rite Craft degrees. On 24 January 1731, when the Grand Lodge of England appointed a Captain John Phillips as Provincial Grand Master of Russia and Germany, masonry in Russia was mainly the preserve of foreign residents, chiefly British and German. In c. 1741 I Grand Lodge appointed as Phillips' successor a Scots Jacobite, James Keith (1696-1758), who fought in the Russian and Prussian service. Masonry took root in Russia in the reign of the Empress Elisabeth (1741-62), particularly among the nobility, and flourished for most of the reign of Catherine the Great (1762-96). The first regular lodge under the English system, Perfect Unity Lodge No. 414, was constituted at St. Petersburg in 1771. In 1772 Grand Lodge appointed the first native Provincial Grand Master, Ivan Yelagin (1725-94), secretary and theatrical adviser to Catherine. The 14 or so lodges under Yelagins control united in 1776 to form a National Grand Lodge, which, under the aegis of the combined English and Swedish systems, practised a heterodox mixture of craft masonry, higher degrees masonry, Knights Templar and mystical and esoteric rites introduced from Germany and Sweden. By the early 1780s, according to one account, there were c. 100 lodges in Russia, with an average membership of 25. Members included many of the foremost men of the day, including the writer and publisher Nikolai Novikov. Masonry, however, was held in increasing disfavour by Catherine, suspicious of its private meetings and even of its philanthropic activities. Government pressure began in 1782, Novikov was imprisoned in 1792, and by 1794 all lodges were forced to close. The Craft was tolerated under Catherines son, Czar Paul (1796-1801), and still more so under his son, Czar Alexander I (1801-1825), who in 1810 formally permitted the establishment of masonic lodges. The Grand Lodge Astrea, founded at St. Petersburg in 1815, presided over 23 lodges by 1819, again largely under German and Swedish influence. 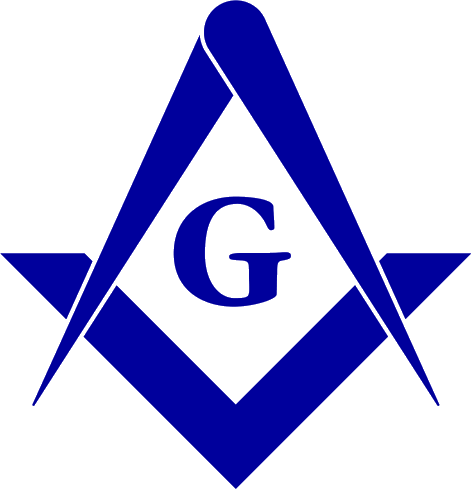 In the period of reaction following the Napoleonic wars, however, with the spread of revolutionary secret societies, Alexander in 1822 issued a decree prohibiting masonry. It was certainly a fact that most of the army officers who participated in the abortive Decembrist revolution on Alexanders death in 1825, were former masons. Alexanders brother and successor, Nicholas 1 (1825-55) suppressed masonry under a further decree in 1826. Thereafter, the Russian Craft existed in limbo. Masonry revived after the 1905 Revolution, and flourished until 1917, but was once more suppressed after the Bolshevik Revolution, formally in 1922. Russian émigrés in France founded Lodge Astrea No. 100 in 1922, working in the Russian Language, under the Grande Loge Nationale Française (GLNF). Members of the GLNF provided a catalyst for the return of regular Freemasonry to Russia after the collapse of the Soviet Union in 1991. As will be appreciated in view of Russian Masonic history, Russian masons tend to be discreet in relation to their membership. It is preferable to address envelopes to the Grand Secretary without any Masonic reference. An intending visitor could endeavour to telephone the Grand Lodge office in Moscow when in the country, or attend it personally, in order to make arrangements to visit a lodge. However, be aware that the Grand Lodge office is not permanently staffed. The best recommendation is to contact the Grand Lodge office by either email or fax, well in advance, asking for a contact telephone number for use on arrival. Note that no mention of Masonic interests should be put on Visa Applications. Visitors are most welcome, and can expect to be met at a convenient public place, then taken to a meeting. Presently, Russian lodges do not possess their own Masonic halls, but use rented accommodation, such as schools. Dress for Russian lodges is a dark lounge suit, though a collar and tie is acceptable. Regalia is based on that of the GLNF, which in itself is similar to English regalia. Visitors will need to bring their own personal regalia with them. The ritual used by Russian lodges is the Scottish Rite Craft degrees, as used by Lodge Astrea No. 100 GLNF, and translated into Russian. A festive board is held after every lodge meeting, analogous to the GLNF/English pattern, which includes a light supper or buffet, often replete with wine, beer, mineral water and, of course, vodka. A short formal toast list, and speeches often accompanies a supper. An overseas visitor is likely to be called upon to reply briefly to a toast in honour, While most Russian lodges use the Russian language, quite a few members are bilingual, and English is understood. While the names and numbers of Russian Lodges are noted below, meeting details are not  simply because meeting dates and places are not fixed, and can often be changed at short notice. No Russian lodge has yet obtained permanent premises. An intending visitor will be informed appropriately upon inquiry by fax or email to the Grand Lodge office in Moscow. Russian Lodges recess in June, July and August, except Jupiter No. 7 near Moscow, which meets all the year round. Otherwise they met monthly. All lodges use the Russian language, except Lodge Aurora No. 6 and Brotherly Love No. 10 which work in English, while Northern Radiance No. 9 works in Russian and Armenian, and Alexander Pushkin No. 11 works in Russian and French. A research lodge, Quatuor Coronati No. 8, has recently been formed in Moscow. Lodge Brotherly Love No. 10, was erected in April 1999, with a travelling warrant. Uniquely, it was actually consecrated, by arrangement with the Grand Lodge of Turkey, in Marmaris, Turkey. The initial lodge officers are Russian, Turkish, with one Lebanese brother. The lodge will travel and meet in East Asian Republics where no Freemasonry presently exists, and assist in creating indigenous lodges. It held its second meeting in Moscow in June 1999, a day prior to the Annual Communication of the Grand Lodge of Russia. The lodge can be contacted via the Grand Lodge office in Moscow. Russia now has twelve lodges under charter, but given the size of the country, this number is likely to expand greatly in the years ahead. Meeting in Moscow: Lodge Harmony No. 1, Lodge Lotus No. 2, Lodge Aurora No. 5, Lodge Quatuor Coronati No. 8, Lodge Northern Radiance No. 9, and Alexander Pushkin No. 11. Reprinted from Ars Quatuor Coronatorum. vol. 112 for the year 1999. ed. Peter Hamilton Currie. ISBN: 0 9077655. pp. 258-60.